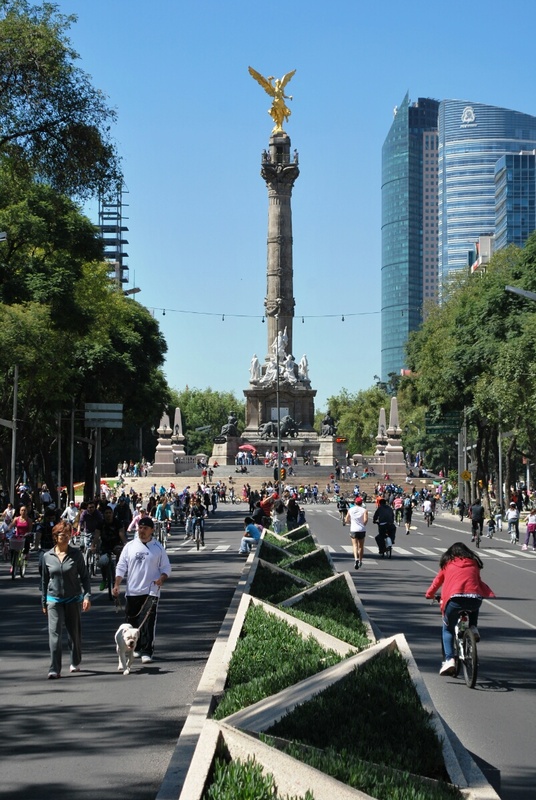 The Angel of Independence — Mexico City’s iconic centennial monument — was just four blocks down the street from our hotel. I was astonished to find that the twenty-three stairs surrounding the base were added long after the statue was built. It seemed that El Ángel had actually risen from the earth some fifteen feet since she was built. She hasn’t. Mexico City has sunk around her. I’m not going to regurgitate a treatise on Mexico City’s sinking phenomenon. Yes, the city is sinking (about seven inches a year if you’re counting, and you know people are), the result of poor hydrodynamic planning, explosive population growth, and an insatiable greed for water. That topic is well explored all over the Internet (you can find a good example here) and we don’t need to add to it. Rather than concentrate on the city’s rather glum future and the conditions that are provoking it, we chose to visit an unexpected vestige of its remarkable past — the canals of Xochimilco (sounds like “choco milko”). Amazingly, Mexico City was originally built (ca. 1300) on a small island in Lake Texcoco, a huge lake (in its time) surrounded by volcanic peaks. As the city outgrew the island, more artificial islands were constructed, and a network of canals was built to connect them. The lake is gone now (which is why the city is sinking); all that remains are a few of the canals. What was once Mexico City’s prime mode of transportation — the Trajinera, or canal boat — is now a curiosity. It was that curiosity we came to see on our last full day in the city. When we arrived, hundreds of Trajineras were rafted together waiting for a fare, forming a mass of vivid colors with nary a square foot of water to be found in their midst. We paid the fare and were led not to boat on the edge of the raft, but one in the center. A half-hour of aggressive maneuvering (think bumper cars) and colorful Spanish profanity eventually got us to clear water and on our way. The Trajineras were once decorated with flowers; now they’re just painted, each with a woman’s name — delightfully garish and whimsically ostentatious. Tourists like us flock to Xochimilco and snap thousands of pictures of the gaudy sight, while bands of musicians serenade them with bad Mariachi. It’s all very tacky but fascinating just the same. We especially liked the boats filled with extended Mexican families enjoying floating fiestas. Grandpa’s birthday? Let’s go to Xochimilco! 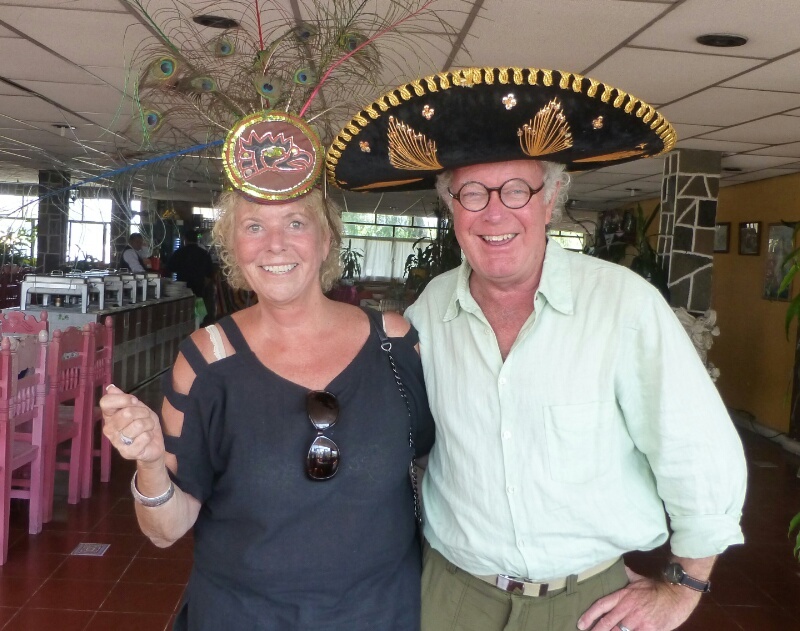 Our visit to Xochimilco pretty much concluded our five-day tour of Mexico City and it also concludes our series of posts about it here on the blog. The city is a fascinating place, brimming with wonder and beauty, and beset with all the troubles one would expect in a city that has seen a seven-fold increase in population in the past fifty years. There’s a wealth of experience to be had here, adventure and enchantment. Adios, you city of intrigue! Sounds like you had a great visit to the city. We were there for a few days, one time in December. I had a respiratory infection and spouse was in the incubating stage for hepatitis (courtesy of Lake Atitlan in Guatemala), so we didn’t get to do many of things you did and we have wished to return. Did you get to the Archeological Museum? That was our highlight.